Dehumidifier for indoor pool room, indoor pool dehumidifier sizing, indoor swimming pool humidity control, commercial pool dehumidification systems, indoor pool dehumidification calculator, pool dehumidifier manufacturers, swimming pool dehumidifier calculation. 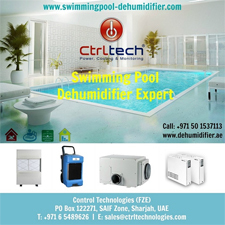 We offer complete range of swimming pool dehumidifier, pool dehumidifier, indoor pool dehumidifier, spa dehumidifier or De-humidifier in Dubai, UAE and Middle East Countries. In swimming pool, spas, shower rooms and gymnasia are high relative humidity and condensation areas. Humidity in such areas can be reduce with help of Dehumidifier which can ensure the well being of the occupants & to avoid damage to building structure. We are dehumidifier supplier in Dubai, Abu Dhabi, Sharjah, Oman, Doha & UAE. Industrial Dehumidifier has following features: Innovative Elegant Design. Build in Humidistat. Radial fan with aluminum fan wheel (with winding protection). Wall mounted installation. Fully hermetically sealed rotary compressor, protected against overloading, vibration-insulated. Automatic hot-gas defrosting, controlled by Dry-Logic. Condensation principle (Heat-pump technology with energy recovery. Condenser and evaporator made from copper piping covered with aluminium fins. Specially coated evaporator. 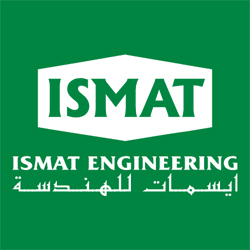 Ctrltech, De\longhi, Novita, Bry-air, Ebac, Westinghouse, Frigidaire, Elu-klima, aerial, LG, calorex, Fral, General Electrical, GE dehumidifier etc. Compressor type: Rotary. Coolant: R-407c CFC-Free. Low Noise level. Operating Temp. : 5 ºC to 35 ºC. Simple installation. Power Supply: 230V, 50Hz. Dehumidifier for swimming pool. Swimming pool Dehumidifier. Dehumidifier. pool Dehumidifier. Indoor pool dehumidifier. Indoor pool room dehumidifier. pool dehumidification. dehumidifier for spa.